Coconut Grove is known as a very walkable neighborhood in Miami. It is divided into a northeast and southwest area. The northeastern portion of Coconut Grove has a walk score of 75, while the southwestern area has a walk score of 65. The walk score for a particular home or apartment may vary. Overall, the neighborhood enjoys a good walk score because it is close to a great deal of dining, shopping, parks, and museums. Yet as a pedestrian in Coconut Grove, you have to be careful. You share the area with people in cars and large trucks or others on motorcycles and bikes. You have to be mindful to stay on sidewalks and in crosswalks. Unfortunately, despite your precautions, you could be struck by a negligent driver or rider. With no protect of your own, you may experience serious injuries. Or, your loved one may have died in a pedestrian accident. 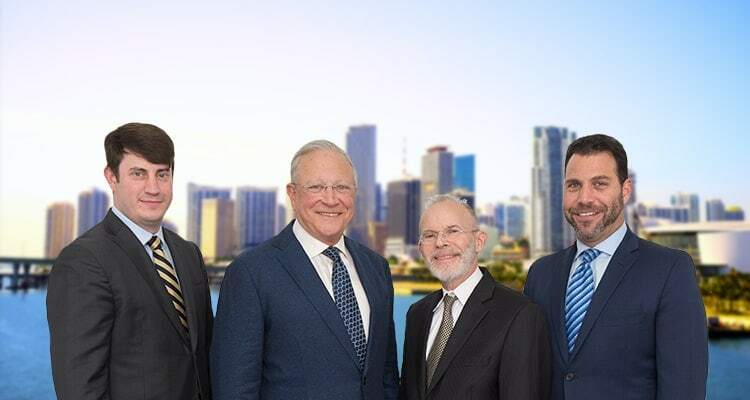 If you were injured or a loved one was killed as a pedestrian, do not hesitate to call our Coconut Grove pedestrian lawyers from Gerson & Schwartz P.A. at (877) 475-2905. We offer free, no-obligation consultations. Our pedestrian accident lawyers have represented injured individuals and surviving families after all types of situations. We have listened to all sorts of stories from people who were hurt while walking to walk, taking a relaxing stroll, or out for a run. All of them set out expecting to return home safely, yet they were harmed because of another person’s carelessness or recklessness. If you were injured in a pedestrian accident and you believe a driver was at fault, call our pedestrian lawyers in Coconut Grove for help. We will thoroughly investigate the collision. We will determine what happened, why, and who was at fault. Our findings will determine whether you have a valid claim for compensation, and if so, they will guide us in who to seek compensation from. Pedestrians are extremely vulnerable during a crash. Unlike vehicle drivers and passengers, they are not protected by a metal and plastic cage and safety features, like seat belts and airbags. Unlike motorcycle and bicycle riders, they are not protected by any type of safety gear, such as heavy leather clothing or helmets. When a pedestrian is struck by any type of vehicle, they will probably suffer serious harm. Many pedestrian accidents result in the death of the pedestrian. Your loved one may have died at the scene. However, your loved one may have suffered from their injuries for hours, days, weeks, or months after the crash. In this situation, it is particularly important to speak with a pedestrian attorney in Coconut Grove about obtaining compensation for your loss and your loved one’s suffering. Is There Insurance Coverage for a Pedestrian Accident? If you were injured in a vehicle-pedestrian accident, or your parent, spouse, or child was killed, you should contact an attorney as soon as possible. It is important to determine who was at fault and who is liable for damages. Sometimes this is the same person. An at-fault driver was careless, and their insurance policy may cover compensation. However, an at-fault driver may have been in another person’s care, and the vehicle owner’s insurance may apply. Or, the at fault party may have been an employee who was on duty at the time. In this case, the employer’s insurance may cover the damages. Our attorneys will thoroughly investigate the accident to determine fault and liability. When we have identified the liable party, we will handle the insurance claim process. We do not recommend that accident victims or their families handle this on their own. Insurers are well versed in the law and on how to influence claimants. They have many tactics to deny policies or try to limit settlements. By hiring a Coconut Grove pedestrian attorney, you have someone with the knowledge, experience, and skills necessary to deal with the insurance company. We will ensure your claim is treated fairly. If your claim is approved, then we will participate in good faith negotiations for a full and fair settlement. If your claim is denied, or settlement negotiations break down, then we may recommend pursing compensation through a personal injury or wrongful death lawsuit and trial. If you were injured in a pedestrian accident or your loved one was killed, do not hesitate to seek legal advice. You can contact us at Gerson & Schwartz P.A. online or by calling (305) 371-6000 to schedule a free consultation.